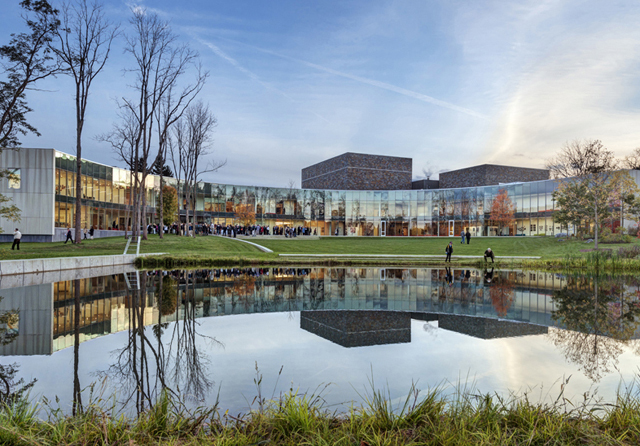 The Kennedy Center for Theatre and the Studio Arts is sited directly across the lawn from the recently completed Ruth and Elmer Wellin Museum, also designed by Machado Silvetti. These two project are part of a collection of buildings that surround a reconstructed pond, creating a new arts quad at Hamilton. The siting and design carefully considers pedestrian and vehicular access from existing campus roads and walks, providing porosity and enhanced connectivity to the existing campus fabric. 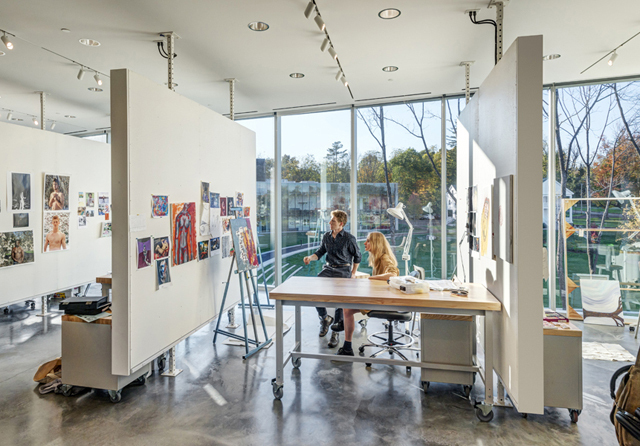 The building consolidates classrooms, studios, faculty offices, performance spaces and technical workshops into one 24-hour facility that reinforces the integration of theatre and the visual arts at Hamilton College. Two, three and four-dimensional art studios exist together in a facility with state of the art ventilation, controllable natural light, and other natural environmental control measures.